Garages are an integral part of a residential house as well as kind of extension for a business premise. And to keep the vehicles inside the garage safe and secured, it is important that the garage doors are strong and durable. But it is also important to ensure that the San Antonio garage door repair are well maintained and serviced from time to time so that no problems arise in the same. We are specialists in garage door repair of any kind – from fixing broken springs to repairing panels and cables. We also offer high quality maintenance services for your garage doors so that they perform in the best manner always. Majority of garage doors have springs in them. They are there so that the garage door does not slam down causing injury or accidents. There are many varieties of such springs, but their main function is to strike a perfect balance between the door and the opener. The main problem with garage door springs San Antonio is that they break. And there are many reasons that contribute to the breaking of the springs. The most prominent ones include wear and tear, no maintenance and extreme temperature fluctuations. We excel in repairing or replacing garage door springs San Antonio and bring back your garage door to normal functioning. Broken springs in garage doors are risky and need immediate attention. And that is why we are here to provide you with emergency services for repairing broken springs as soon as possible. We are concerned about you and your family’s safety and will reach you quickly once we get your call. We take utmost care in replacing the broken spring and make your door fully functional in the shortest time span. When the garage door torsion springs San Antonio are broken, it is very difficult to pull the door up as the balance between the door and the opener is damaged. So, the door will come slamming down once left loose. Our professionals know the tricks of handling such garage door problems efficiently. 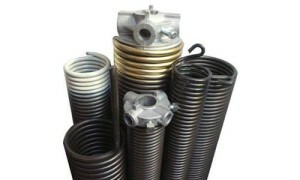 We have the right kinds of equipments that are required to replace the broken spring and make the door operative. In many garages there are two springs. Usually one spring breaks and needs replacement. We will also check the second spring and tell you its condition. If it is nearing the end of its life cycle, we will recommend changing that too.